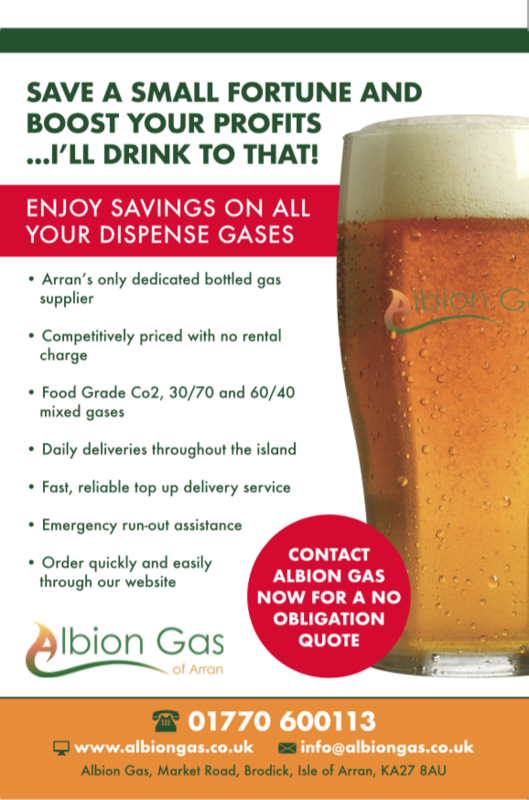 Albion Gas are the leading drinks dispense gas supplier to the island with 20+ years experience supplying Pubs, Bars and Hotels. We work closely with Air Liquide, one of the industries largest dispense gas suppliers so you know our prices are some of the cheapest around and our gas is the highest quality. 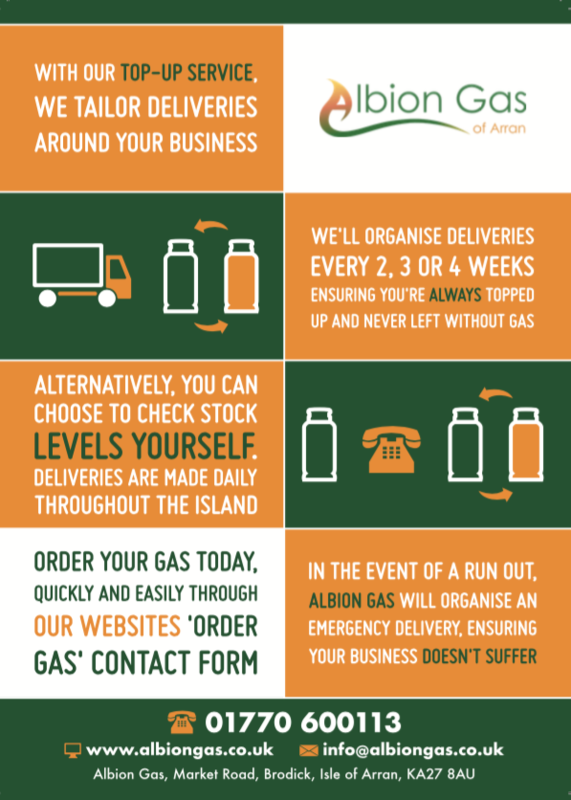 We deliver across the island on a daily basis, ensuring our gas cylinders are delivered when required so you're not stuck without gas and unsatisfied customers. All our dispense gas cylinders are rent free, this avoids large monthly bills or being forced to under stock your cellar causing run-outs and letting down your customers. Why not let us manage your stock? With our free cellar management system we monitor your stock levels for you ensuring you have enough stock for the coming weeks trade. We frequently check your stock levels replacing any empty cylinders and guaranteeing an uninterrupted supply. You'll have adequate buffer stock should you find yourself busier than usual and we'll tailor stock levels to reflect the time of year. Deliveries are made every two, three or four weeks depending on your usage and distance from our depot in Brodick. We guarantee you'll never be left without gas again. Should you wish to manage your own stock levels, you can contact us at any time, whether it's over the phone, email or through our 'order gas' contact form to place your order. Should you find yourself without gas then please contact us ASAP and we'll organise a free emergency same day delivery. Please note that this service is only available for Albion Gas customers. We are part of a nationwide network of over 90 distribution partners, we have the capacity to supply from single site businesses to multi-site organisations. We partner with Air Liquide, a world leader in the manufacture, supply and development of drinks dispense and beverage gases. Our gases are subject to stringent quality checks throughout production and the supply chain process. The same applies to our cylinders which are constantly checked and monitored to ensure they meet all the necessary HSE and industry requirements. And, of course, you can be reassured that we comply with the Weights & Measures Act 1976 and 1985. We can supply all gas mixes, including; 70/30, 60/40 and 50/50 in 10L bottles and CO2 can be supplied in 6.35KG, 22KG and 34KG sizes with all cylinders available for same or next day delivery. We keep large stocks to ensure there's never a shortage, that's one of the reasons we're the fastest growing dispense gas supplier on the island. Offering the most competitive prices since 1997, ensuring nobody has to pay over the odds for their bottled gas. We've been providing bottled gas to our happy customers for 20 years: so you know you're in good hands. Our depot in Brodick is perfectly situated to supply the whole island with bottled gas. Both same and next day deliveries offered, delivering gas to your door!